Alex was born Alex Miles Younger in August of 1981 in Louisville, Kentucky. 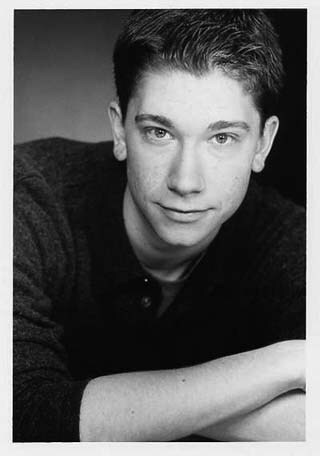 He moved to St. Louis in 1999, where he graduated from the Webster University Theatre Conservatory in Spring 2003. In August 2003, he moved to Chicago, Illinois to pursue a stage acting career. In the meantime, he acted in some films. Check out Alex's site on IMDb, too! Alex has done extensive theatre work in the fields of acting, directing, and playwrighting on various levels of professionalism and involvement. Theatre is his first priority, acting-wise--he just humored me by lending his less legitimate talents to some of my movies. Once Alex and I set a bathroom on fire. Alex's quick thinking and cat-like reflexes allowed him to swiftly and adeptly dispose of the fire. Alex was known as Alex MILES for awhile, but now he's back to Younger--he prefers to use his full name, Alex Miles YOUNGER, insofar as his professional work is concerned. Me, I just wish he'd make up his durn'd mind. Alex enjoys drinking maple syrup straight from the bottle. Visual proof here.